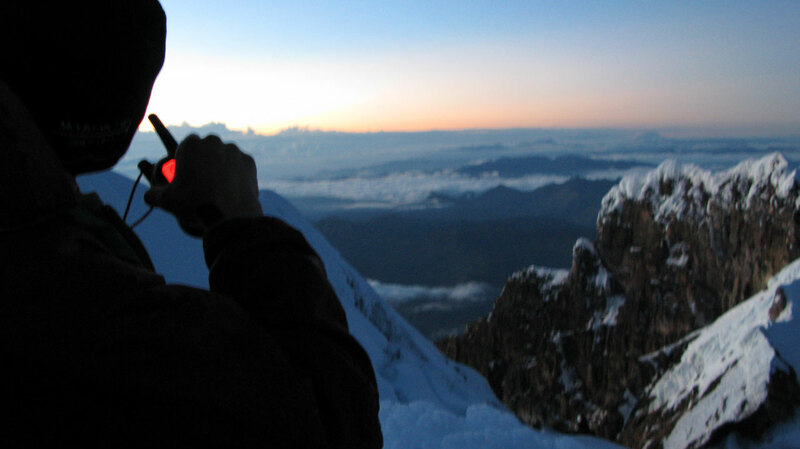 We offer organized climbs up the major peaks in Ecuador. All of these package trips include acclimatization, basic glacier travel skills review and rewarding rest days following summit climbs at some of the hot springs Ecuador is famous for. Our most popular climbing package is a two-week trip that includes summits of Cotopaxi and Chimborazo. We offer this package as a group trip once a month during the dry seasons (November to February and June to August). These trips usually begin the first week of each month, refer to our schedule and rates. If you are interested in a private trip up these two peaks complete with acclimatization and sight seeing, we can work with you to tailor an exceptional trip, working from the group itinerary, that is specific to your preferred dates, travel goals and climbing abilities. If you are an experienced mountain adventurer looking for something even more challenging, we offer a 15-day climbing package that includes technical summits of three high altitude peaks. This trip culminates with the ascent of three very technical and challenging routes to the high altitude peaks of Illiniza South (5.263 m / 17,267 ft), El Altar Obispo (5.465 m / 17,930 ft) and Chimborazo – via the Direct Route (6.310 m / 20,702 ft). Contact us to learn more about it. 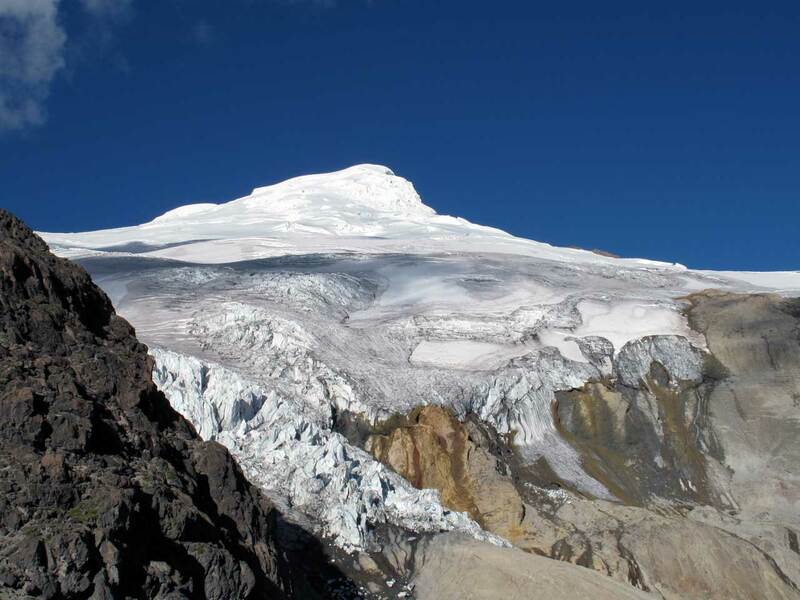 The Express is an adventure that offers climbers with little time a chance to reach the summit of Cayambe. We combine our most popular mountaineering school with a series of acclimatization hikes to create an ideal one-week climbing expedition!